As much as they love plants, Proven Winners also love helping the people who grow them -- gardeners like you. Their job is to make it easy to grow, maintain, and enjoy gorgeous garden beds and containers filled with proven plants. To help you, they offer green thumb tips and articles filled with expert advice. 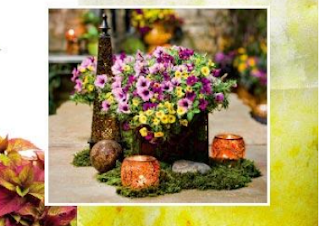 • Add WOW to your garden! Free Gardener's Idea Book valued at $10.00. Your book will arrive in 3-4 weeks. PLUS -- While you are there you can also sign-up to receive their monthly gardening tips newsletter, Winners Circle® — filled with wonderful in-depth information timed for each season in the garden, and includes a new plant profile and plant combination recipe each month.